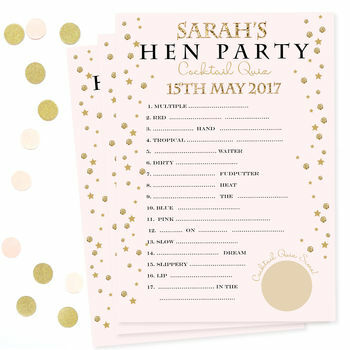 A stylish start to a classy hen party, with just a little bit of cheekiness thrown in! 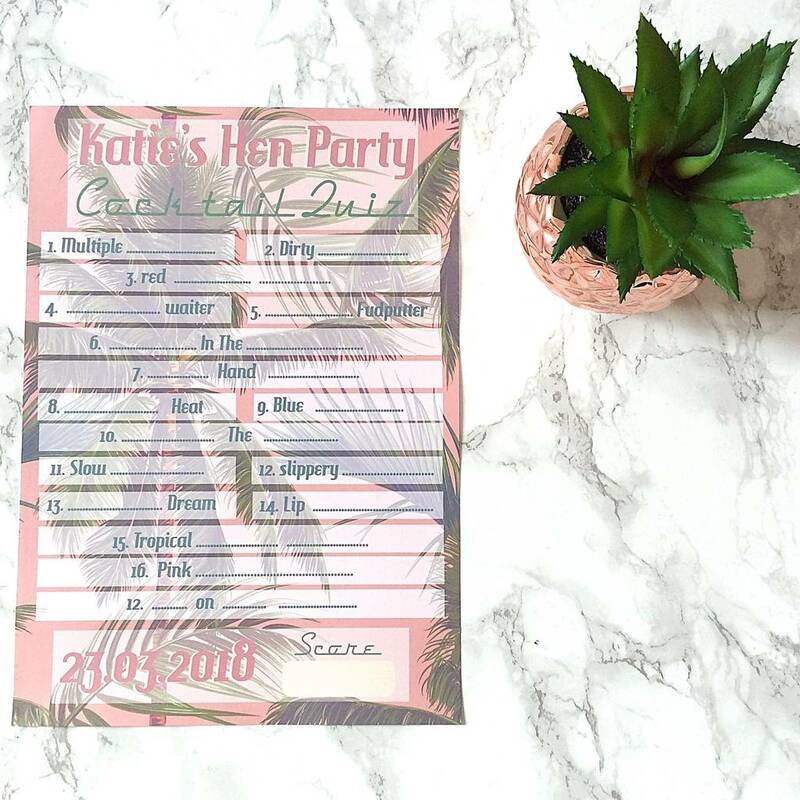 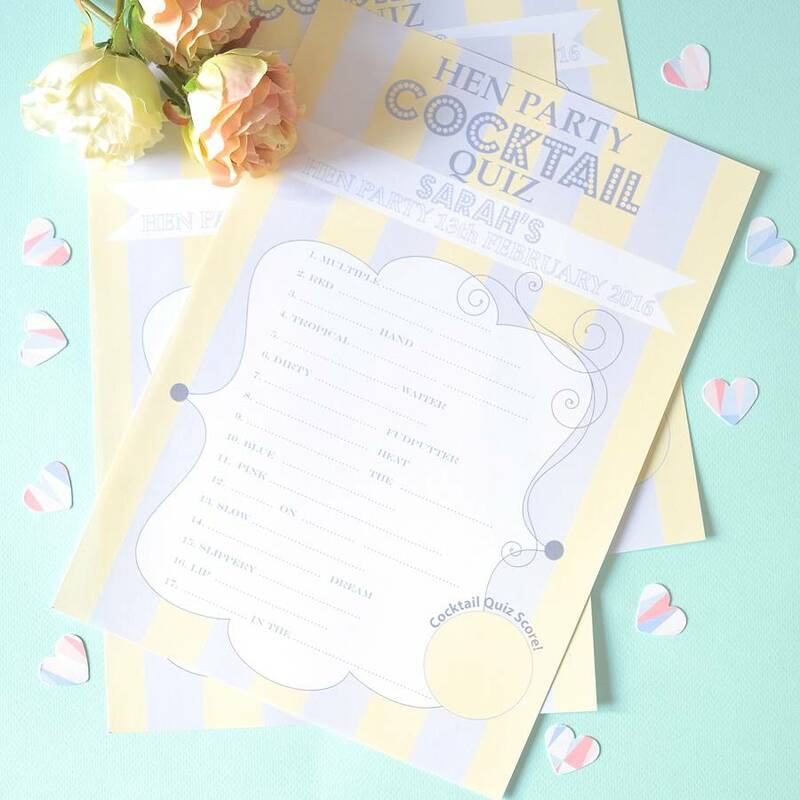 Personalised with the bride-to-be's name and the date of the hen party, the Hen Party Cocktail Quiz comes in an on-trend blush pink and gold, grey and yellow colourway or fun tropical Miami Beach theme. 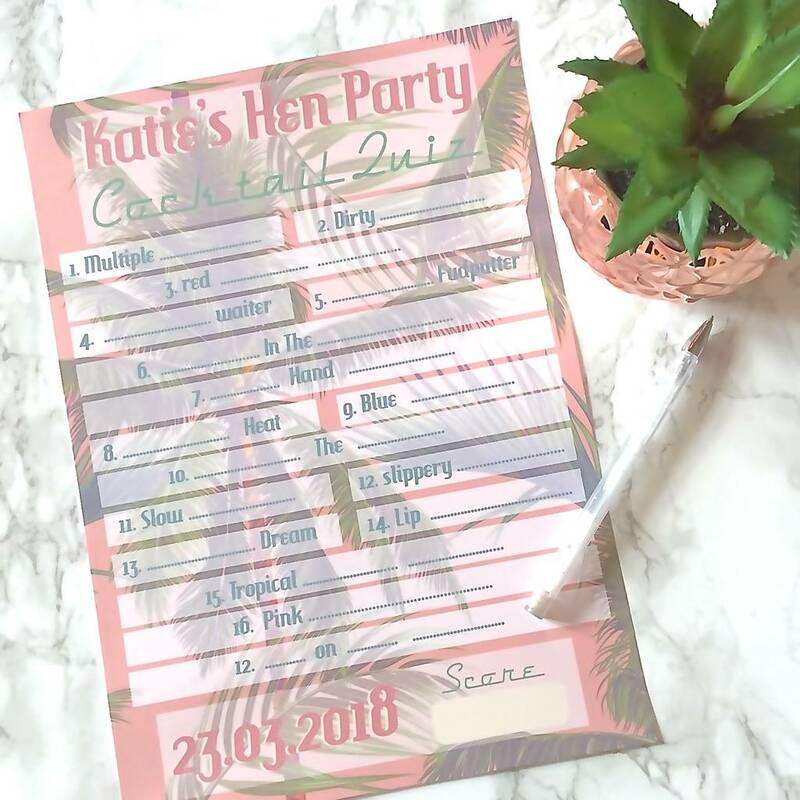 Each guest fills in the blanks on their game sheet to complete the names of the cheeky cocktails! 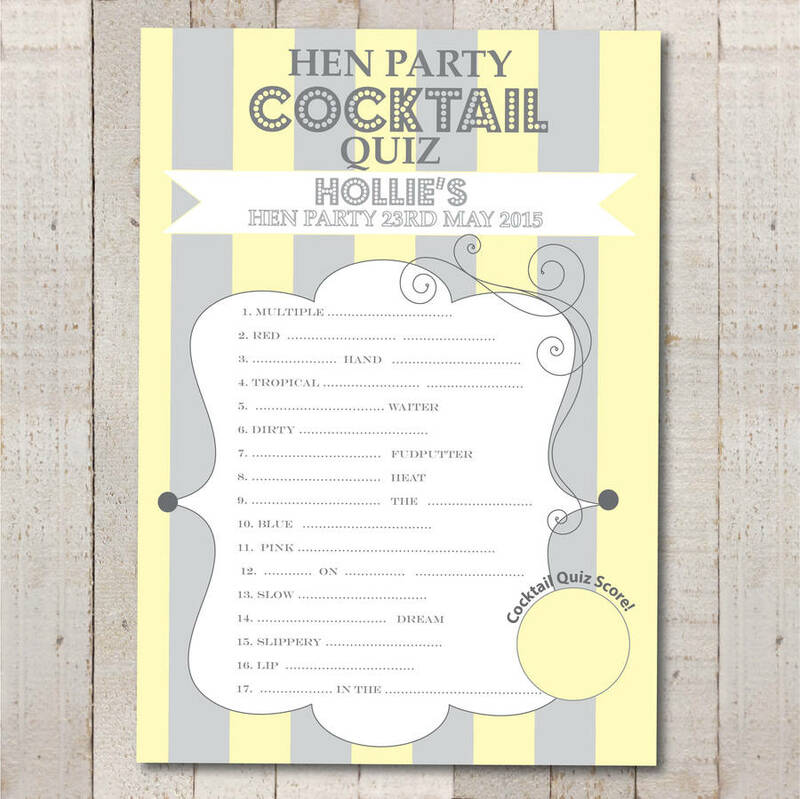 A great fun way to kick-off the hen party celebrations, and suitable for playing at home, in a restuarant or bar. 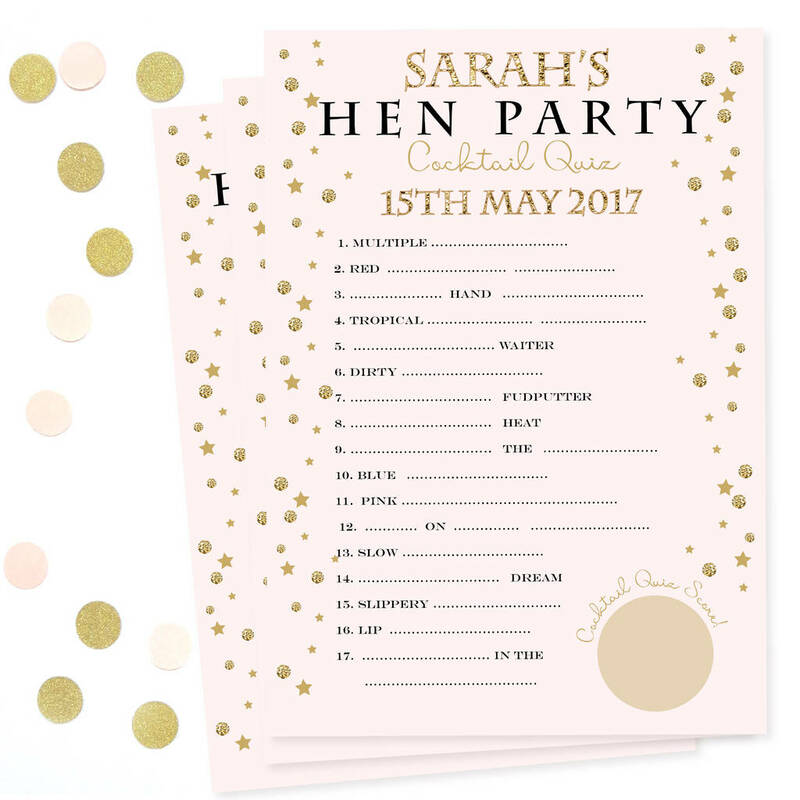 Suitable for 8 players, it's ideal for small group, and with option to purchase additional sheets, this hen night game is a great, cost-effective game for large hen parties. 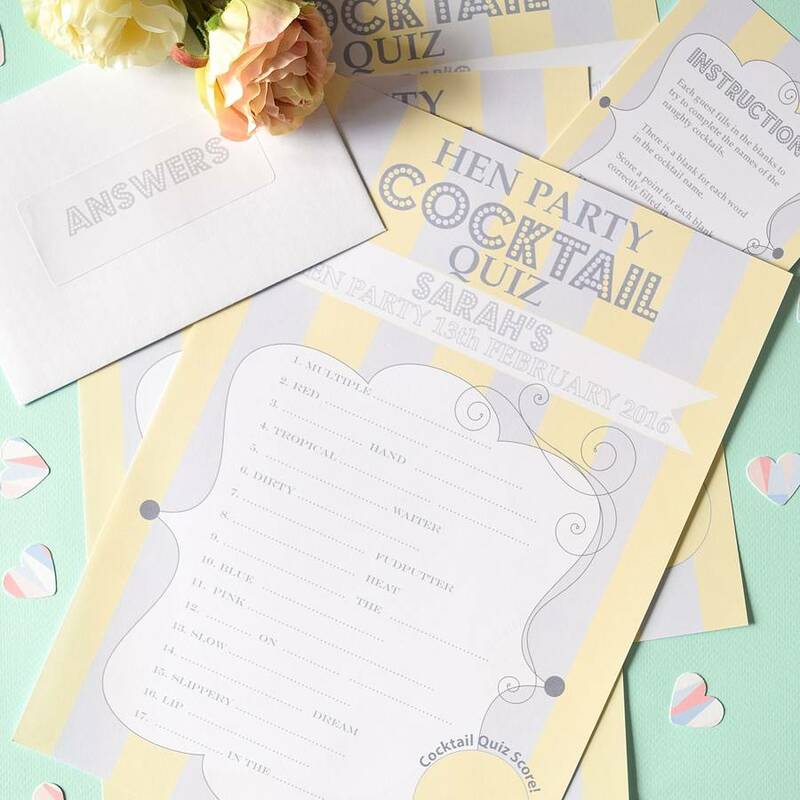 The game includes instructions and the answers come in a sealed envelope, so there is no cheating!